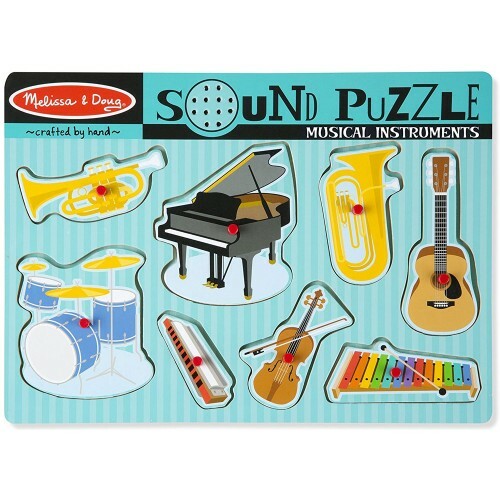 Musical Instruments 8pc Wooden Sound Puzzle from Educational Toys Planet presents for child's listening pleasure the sounds of grand piano, drum set, violin, tuba, trumpet, guitar, xylophone, and harmonica. 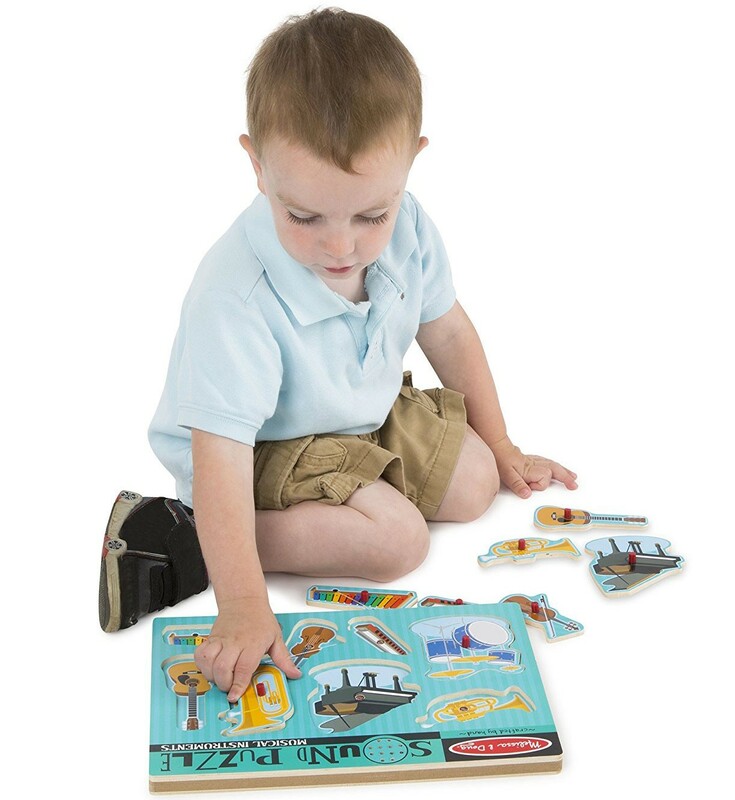 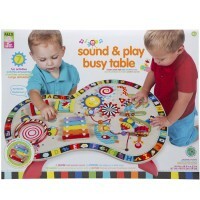 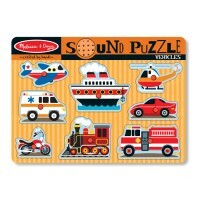 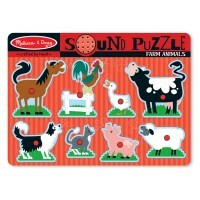 Learn the sounds of 8 popular musical instruments and play with the Musical Instruments 8pc Wooden Sound Puzzle by Melissa & Doug. 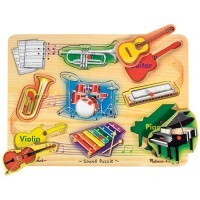 Eight instruments are ready for their toddler or preschool conductor to find their place on the wooden puzzle board. 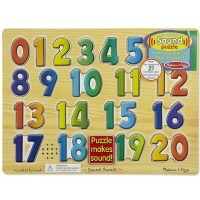 When kids place a musical instrument piece correctly in the puzzle board and they can listen to it play. 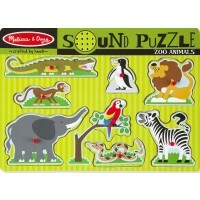 Each puzzle piece with a peg, has a full-color picture of the instrument underneath for easier identification. 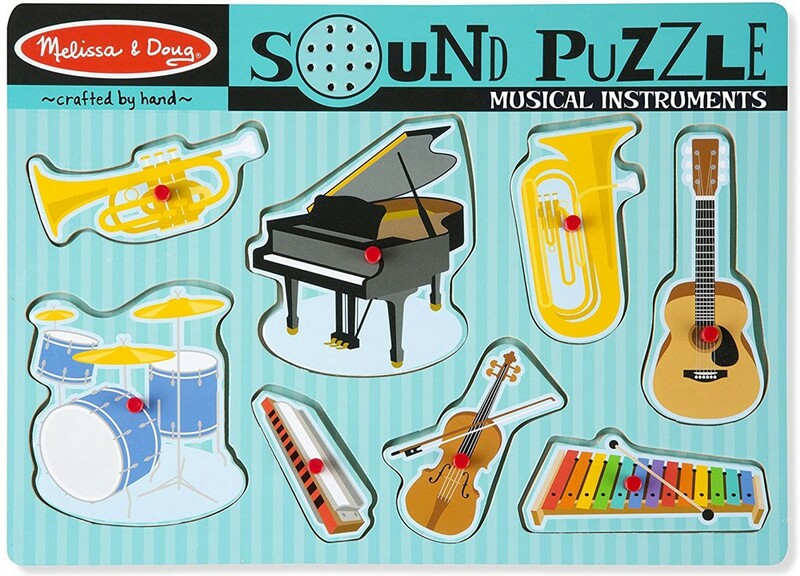 Musical Instruments 8pc Wooden Sound Puzzle from Educational Toys Planet presents for child's listening pleasure the sounds of grand piano, drum set, violin, tuba, trumpet, guitar, xylophone, and harmonica. 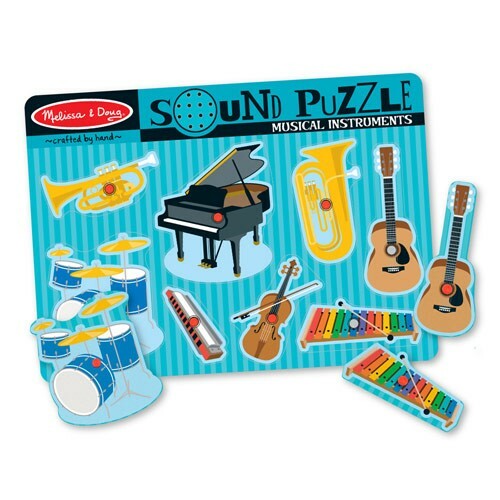 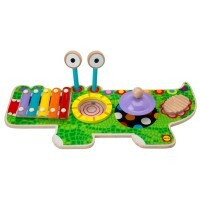 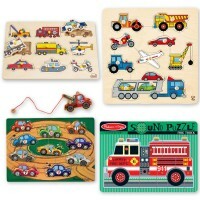 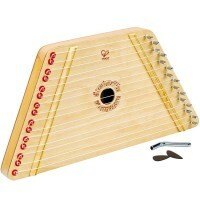 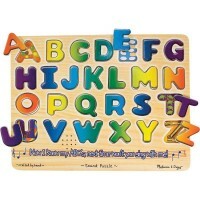 Dimensions of package 1.3" x 8.5" x 12"
Write your own review of Musical Instruments 8pc Wooden Sound Puzzle.